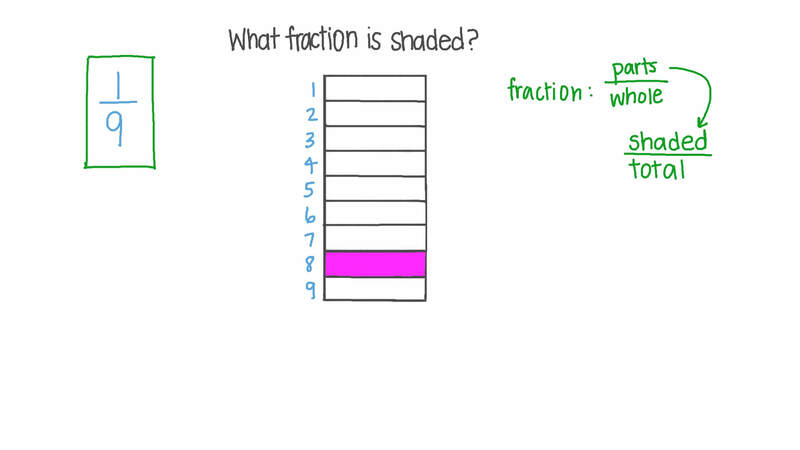 In this lesson, we will learn how to read and write fractions using a part (numerator) and a whole (denominator). Which figures have one-half shaded? An orange is divided into 2 equal pieces. How much of the orange is each piece? What fraction represents the green section of the circle? Which figures have one-quarter shaded? John cuts a loaf into thirds. How many thirds are there? How many ninths are there in one whole? What fraction of this shape is shaded? Dalia made a cake for a party and cut it into 12 equal pieces. What could the cake look like after 1 4 of it has been eaten? 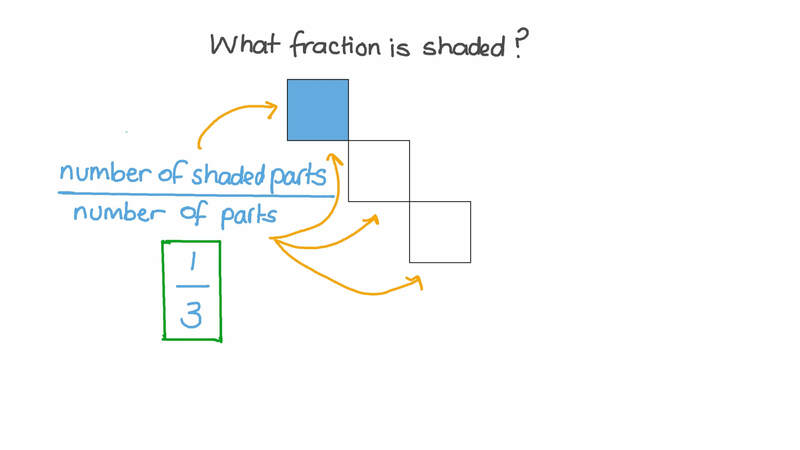 Find the fraction that represents the coloured part. How many halves are there in 1? Use the figures to help you.